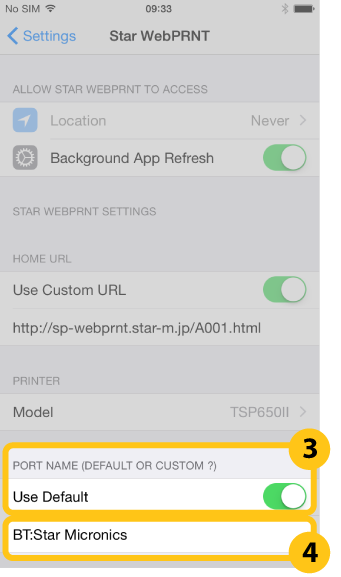 Specify the URL of the Web server to be used for “HOME URL”. 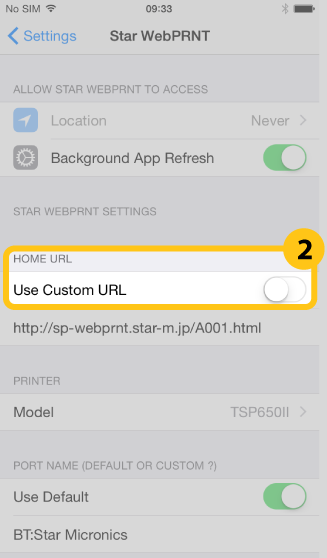 Choose the Star Bluetooth printer to use for "PRINTER". 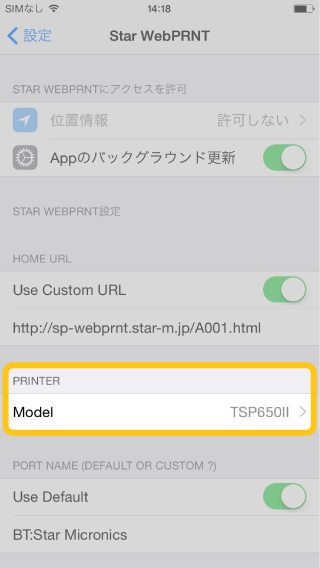 When you have changed the printer’s mode to “StarPRNT”, select the printer model with “(StarPRNT)” . 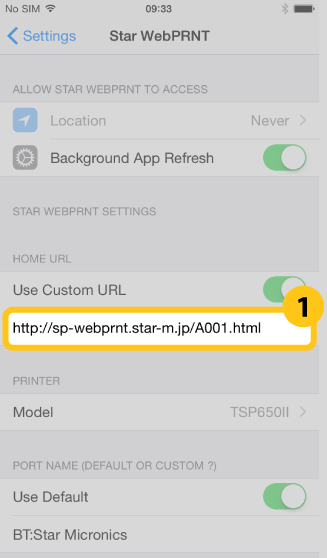 Specify the printer port name to use for “PORT NAME”. 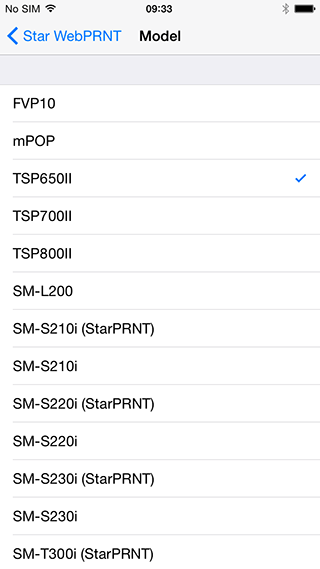 “Use Default” is not available with SM-L200 and SM-L300. 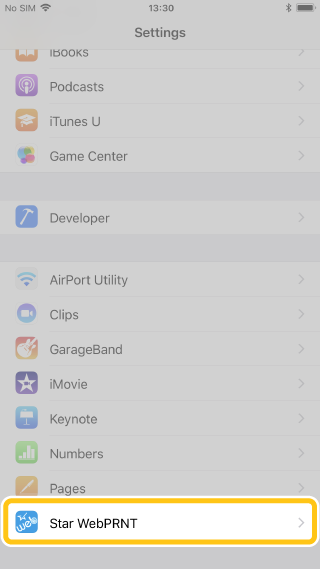 * XXXXX is the lower 5 digits of the S/No. 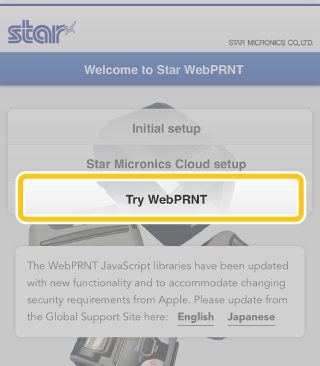 Open the Star webPRNT Browser and try printing.